“What a piece of work is a man”: the noblest of all God’s creatures, the very essence of grace and beauty, “infinite in faculties”, “in action how like an angel“,” in apprehension how like a god” (Hamlet Act 2, scene 2) Yes, a god, this is very likely what Basil Hallward must have seen the first time he had met Dorian Gray. And just like for gods, Basil is ready to worship and adore him, because he instinctively feels that Dorian Gray’s uncommon beauty is the mirror of the innocence and wonder of his soul. This is the real trap, as it is very arduous for anybody to conceive that a beautiful facade might hide an evil nature.This is very likely due to the archetypes we have been fed with in our early age with all the stories, fairy tales, myths. After all fairy comes from fair, that is light and consequently good, all witches are actually dark in fact. However, this is just a childish distinction, because the nature of a man is far more complicated that this. Man is a delicate balance between the world outside and the world inside. Ethics is what keeps him stable. When Dorian Gray realizes that his wish of eternal beauty has been fulfilled, that very moment his ethical world collapses and his balance is lost forever. 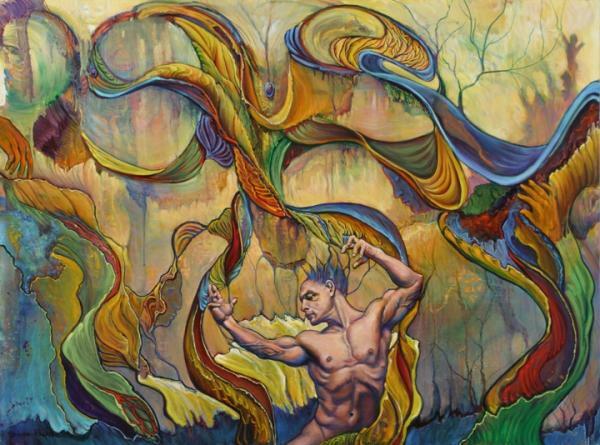 The unmentionable desires, passions, lust, fear, freedom, that romantic chaos of his soul will slowly prevail over the classical immutable perfection of his beauty. But if Dorian wants to enjoy fully that chaos he needs to crash definitely anything that might stir any moral process. That’s why he stabs the portrait. He wants to be free from feeling any remorse. But what is a man without ethics? Could he really bear the chaos of his soul? What would become of him? When the servants find the body of Dorian Gray lying on the floor, they can hardly understand who it was. One of the keys of Dickens‘s success lies in the choice of his narrative canvas . Actually, it wasn’t anything new, because that was the typical canvas of the Morality Plays:the fight of good vs evil; but he customized that scheme adding a generous dose of sympathy and hope, thus making his fortune. The adoption of the typical dualism of the Moralities proved very effective as it was clear and particularly suitable to Dickens’s talent in characterizing all that vast humanity that peopled his novels. 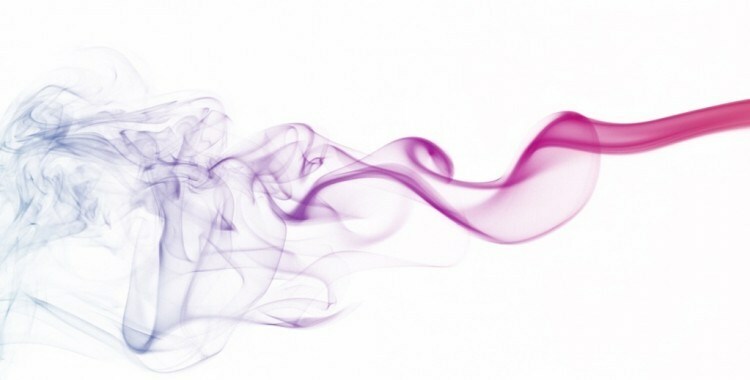 This duality became the distinctive mark of his works, in fact under the macro-dualism good/evil, Dickens always created many other micro-dualisms that were the frame of the narration. 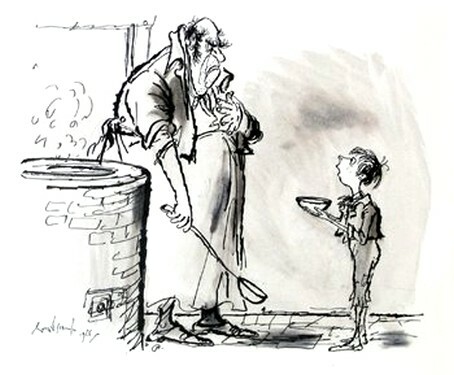 The famous passage when Oliver Twist walks up to the cook to ask for more is a sheer example of this technique. The macro-dualism is made up by the children/good vs adults/evil. The battlefield is the canteen where the kids used to have their gruel. The place seems very big and the copper is placed very distant from the reach of the hungry boys, as a mirage. Dickens says that this is the place where the boys “were fed“, thus stressing the psychological submission of the children with the usage of the passive voice plus a verb that implies passiveness. The cook who “ladles the gruel” is actually seen as the master, since their survival depends on him. The food is scarce, the bowls are small and the spoons seem big, the hunger is unbearable. Something has to be done. Under the threat of a big fat boy who proclaims himself ready to devour the “tender” small weak child who slept next him they decide it was high time to ask for more. Oliver will have to go to face the master. The imminent fight at dinner time is pointed out the choice of words. The apron of the cook becomes a uniform and his assistants range behind him ready for the battle. After Oliver’s request, the cook, who is a “fat,healthy man” becomes “pale” as if he were sick and looks at him with “stupefied astonishment” but soon after he recovers himself and hits him with his ladle. Game over. Even the rhythm of the narration is dualistic with a prolonged succession of long and short sentences, The long sentences are descriptive and create the atmosphere, while the short ones either mark a sense of expectation or coincide with the speed the boys devour their food: “the bowls never wanted washing” – 5 words – “the gruel disappeared” – 3 words and record . I have just one word for his writing:amazing. The English scenario at the beginning of the nineteenth century was quite depressing: mushroom towns, slums. 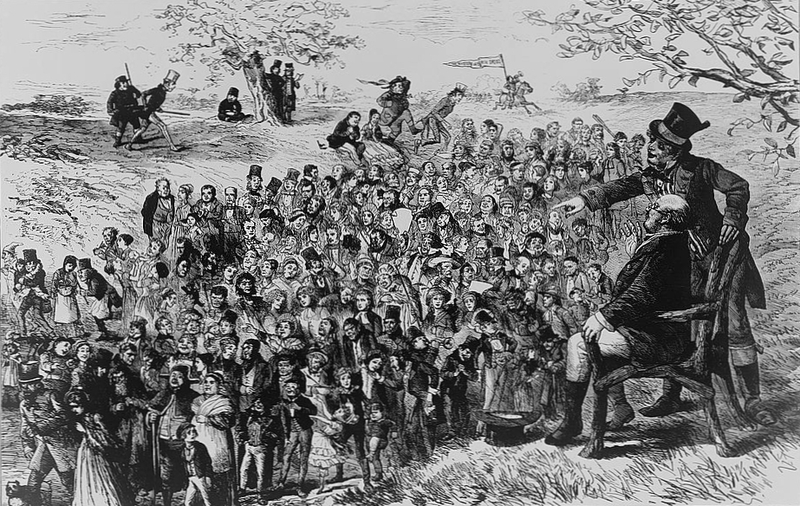 children and women exploitation, workhouses, deskillment, widespread poverty. These were really hard times almost for everybody, but for Charles Dickens, because for him these happened to be really happy times. His early years, as anybody knows, were not promising, but after many unfortunate experiences he turned out pretty well: money, success, a big family, lovers – really happy times. But how? Artists had always found difficulf to keep a decent lifestyle without the help of an aristocratic patron or outside the pampered court life. Charles Dickens, actually, happened to live in the most fertile ground ever, that provided him with everything one needed to gain indipendence, wealth and everlasting fame: a vast paying reading public. Literacy had really started to spread in the eighteenth century and brought to the development a new popular way of writing, no more confined to the upper, cultivated classes. The great diffusion of novel writing, for example, led to a sort of “reading revolution”, but although books were still quite expensive, the great diffusion of lending libraries or circulating libraries made them affordable for almost anybody. Certainly, the greatest impulse to reading came from the development of magazines for general public. A the end of the eighteenth century, in England about 160 periodicals were published and 37 towns had their own newspapers. They were cheap or could be also available free of charge in the coffee houses. Furthemore train tracks and better roads vastly increased the expansion of the press along with the literacy rate. Charles Dickens understood he could have combined the great opportunties offered by this new press with his amazing narrative talents. He decided to serialize his works creating that pattern modern soaps still follow: a great coup de théâtre at the end of each episode thus arousing curiosity and expectation for the next one. London was his favourite setting and his actors were the outcasts of his contemporary society. He looked at them throughout the narration with a sympathetic eye and after many vicissitudes he rewarded them with the hard earned happy end. A dream maker? Not really. In those hard times Charles Dickens had sensed a certain dynamism in the social system that could allow people to hope for a better future. After all, hadn’t that been the story of his life?